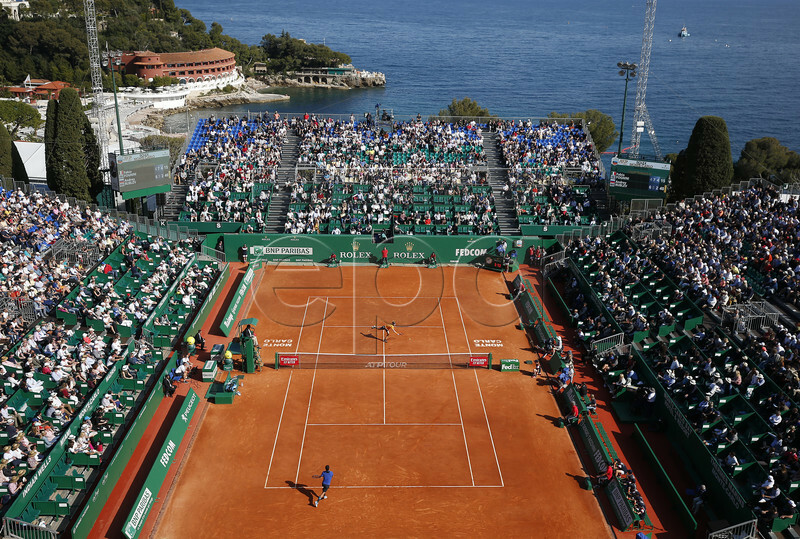 The European clay-court swing reaches new heights with this week’s Rolex Monte-Carlo Masters. Following appetizers in Marrakech and Houston, the main course (or perhaps “courses” plural with additional Masters 1000 events in Madrid and Rome also on the upcoming schedule) is here. Rafael Nadal, Novak Djokovic, and Dominic Thiem are among those on hand. Roger Federer’s return to clay will have to wait a couple of more weeks, but the aforementioned trio is joined in an impressive Monte-Carlo field by the likes of Alexander Zverev, Stefanos Tsitispas, Borna Coric, Stan Wawrinka, Grigor Dimitrov, and many others. Djokovic has now suffered early losses in Indian Wells and Miami in back-to-back years. The current situation is nowhere near as dire as it was last spring, but it still leaves the world No. 1 in a bit of doubt as he prepares for European clay. And the Monte-Carlo draw certainly did not do him any favors. Up first for Djokovic could be Philipp Kohlschreiber, who knocked him out of last month’s Indian Wells Masters. The top-seeded Serb also finds himself in a top section with Tsitsipas and in the same half as Thiem. Even a third-round contest either Kyle Edmund, Diego Schwartzman, or Jo-Wilfried Tsonga could present some difficulty. That leaves Nadal sitting pretty at the bottom half—as if the 11-time Monte-Carlo champion needed any extra help. His one min roadblock prior to the final could come in the form of Wawrinka, a potential quarterfinal opponent who is a former winner in the principality. The other top-eight seeds in Nadal’s half (Zverev, Kei Nishikori, and Marin Cilic) are not playing particularly well right now, so it’s difficult to forecast the Spaniard’s possible semifinal foe. Don’t be surprised if it turns out to be Coric or an on-fire Felix Auger-Aliassime. Second-round upset alert: Guido Pella over (7) Marin Cilic. Pella shockingly upset Cilic at Wimbledon last summer. Clay, of course, gives the Argentine an even better chance. He already has a match under his belt having defeated an in-form Laslo Djere on Sunday, while Cilic got an opening by and may show signs of clay-court rust.